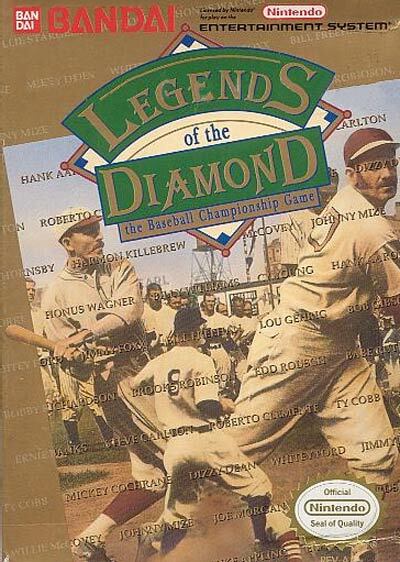 Legends of the Diamond is a Nintendo Entertainment System game that features legends of the baseball world including Babe Ruth and Lou Gehrig, among others. There is exhibition mode as well as tournament mode, that can be loaded with passwords. Each player uses his career stats to determine how good he plays on the baseball field. Fielders have to controlled manually and baseballs can be manipulated mid-flight like in an arcade game.